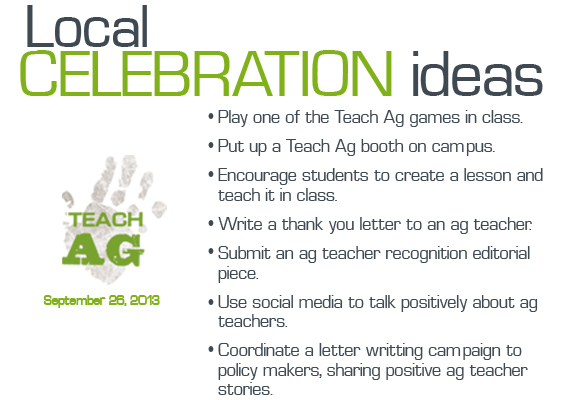 News & Views- National Teach Ag Day! 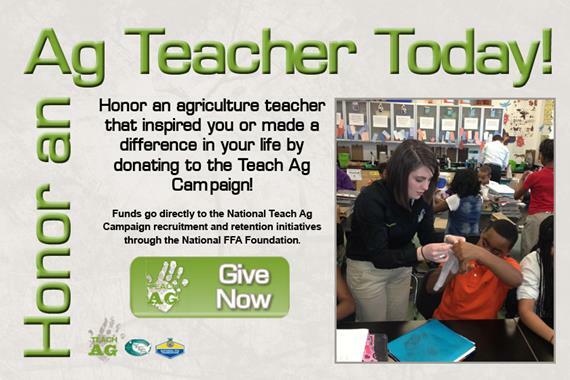 National Teach Ag Day is September 26! Participate in our web-streamed celebration and submit photos that we'll show during the event. Need a little inspiration right now? Watch this video about the Teach Ag Campaign and CHS's committment to increasing the supply of agriculture teachers in the U.S.
From the President ? Thanks! Thanks and Many Thanks!!! It isn't always clear what we want to do later in life, but sometimes we're presented with an opportunity that helps set our path. 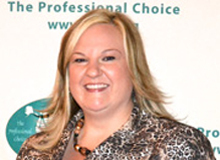 For Bethany Markway, the National Teach Ag Campaign helped do just that. Before getting involved in agriculture in high school, Bethany knew she wanted to be a teacher, but teaching agriculture never crossed her mind. As she became more involved in FFA, she saw firsthand how her own agriculture teacher impacted the lives of his students, and the spark to pursue a career in agricultural education was born. 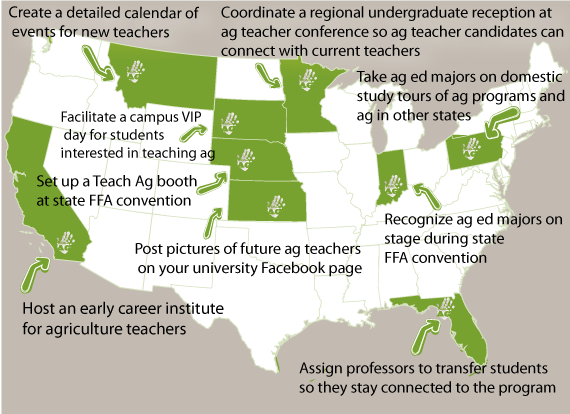 Check out this infographic of what other states are doing to recruit & retain agricultural educators. Click here for a larger version. This year, selected mid-career agriculture teachers will have an opportunity to reinvigorate their passion for agricultural education through a new professional development program. XLR8 is a year-long sequence of professional development for 7-15 year agricultural educators that revolves around 8 areas with which mid-career teachers commonly struggle. The cohort will kick-off at the NAAE convention and will continue throughout the next year with virtual professional development experiences and online collaboration. 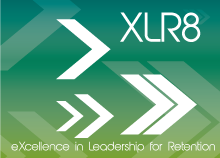 XLR8 participants will also develop state-level workshops to help colleagues address burnout. Applications for the XLR8 program may be found on the NAAE website and are due September 1st. The XLR8 program is an initiative of NAAE in collaboration with the National Teach Ag Campaign and is sponsored by CSX as a special project of the National FFA Foundation. The charge of reaching every student every day can be a real challenge. CASE hires FSS writer, holds developent meeting; NRE field test institutes wrap up, CASE sponsors. 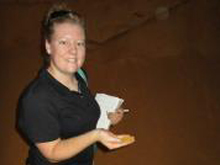 Advocacy intern McKenzie Baecker tells us what she's been up to this summer on behalf on NAAE. Deep dive sessions, snap learning spots and idea labs; new items on the schedule, and resources to help you make the case to your administrators. Congratulations to the six programs that were selected as recipients of the $3,000 Ford Challenge Grant. Congratulations to this elite group of agricultural educators! State leaders - get recognition for your state association's activities with NAAE's Professional State Association award. Anyone running for Regional VP, Regional Secretary,Committee Chair or Committee Vice Chair must complete and turn in a MOU to be elligible. Click here to make sure your calendar is up to date. I want to give a shout out to all the wonderful ag educators out there! What you do is very important and we appreciate you. Thank you for devoting yourselves to helping mold our future leaders, educators, engineers, agronomists and more!